The English sports car manufacturer Aston Martin had its golden age under the leadership of David Brown. With nearly 20 representative models, Rétromobile retraced this period marked by the production of GTs with inimitable lines, a world title and the beginnings of a close connection with secret agent James Bond. Legend has it that it was after seeing the announcement that the brand was up for sale on the front page of the Times on 1 October 1946, that David Brown, the heir to a manufacturer of farm tractors, acquired Aston Martin. The Feltham-based firm, which had been struggling along for 34 years, alternating between sporting successes and business crises, had great potential. And with his acquisition of Lagonda, the young entrepreneur also got his hands on the modern 2.5-litre straight-6 developed by W.O. Bentley. Brown was driven by a burning ambition: to win the Le Mans 24 Hours race. And as he was born under a lucky star, he got off to a promising start. In his Aston Martin acquisition, he found the Atom prototype, from which a car that won the Spa 24 Hours in 1948 was derived. From the Sport 2-litre, the DB1 was born. Only 15 were made. Brown soon moved on to the 6-cylinder, which graced the prototypes of the DB2 built for the 1949 Le Mans race. The dual-shaft 6-cylinder engine had its debut in one of the three cars in the race. It lasted only six laps, but Aston Martin was now definitely playing in the big league. An entrepreneur endowed with good sense, David Brown would, in the space of 10 years, transform this dying manufacturing company into a symbol of sportiness and luxury. Stamped with the initials DB, his creations were a great success. Alongside the grand tourer models, which demonstrated Brown’s commitment to going upmarket and competing against Jaguar, the sports car programme marked the beginning of an irresistible ascension that would take Aston Martin to the very top of the endurance specialists’ galaxy. Brown secured the resources to make his strategy work. In 1950, he hired a sporting director, John Wyer, and then Professor Robert Eberan von Eberhorst, who was in charge of the famous Auto-Union de Grand Prix in 1938. At Le Mans, there were thus cars that were officially named DB2. 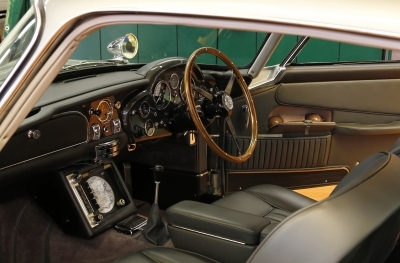 The Lagonda engine did not generate any more than 107 hp, but a Vantage version, the name given to the more highly developed engines, climbed up to 123 hp. The work of Frank Feeley, the DB2 line was superb. It stood out for its divided windscreen, small rear window and long bonnet hinged at the front together with the fenders. The DB2 was almost perfect, but suffered from being only a two-seater. Aston Martin remedied this problem by launching the DB2/4 in October 1953. The rear was lengthened, the roof line lifted and the tank reduced to accommodate two small seats in the back. 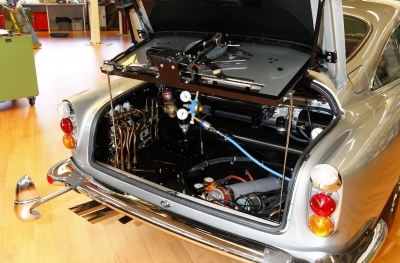 In a world first, the car received a tailgate that opened from the bottom to the top to make loading luggage easier. On the race tracks, the English firm would not come close to the summits of glory until the 1953 season with the DB3. Peter Collins, associated first with Paul Frère and later Stirling Moss, finished in second place in the Sarthe in 1955 and 1956. In the spring of that year, Ted Cutting was tasked with designing the sports car that would become the DBR1. By using molybdenum chrome steel tubes, they were able to shave 20 kg off the chassis. Upon arrival, the DBR1 weighed no more than 800 kg, which represents a gain of 130 kg compared to the DB3S. The straight-6 all-alloy double camshaft engine was a 2.5 litre to comply with the new regulations of Le Mans. It generated 212 hp, but in a 3-litre version. It was to exceed 240 hp. In 1959, the English firm got its consecration by winning Le Mans at the end of an exhausting race with the Shelby-Salvadori duo and the World Brand Championship. At the end of the season, its contract fulfilled, Aston announced its withdrawal from endurance races in favour of Formula 1 and the growth of commercial production. Formula 1 would remain an unachieved dream, but the DB4, manufactured at the new plant in Newport Pagnell, would leave its mark on the roads in the 1960s. 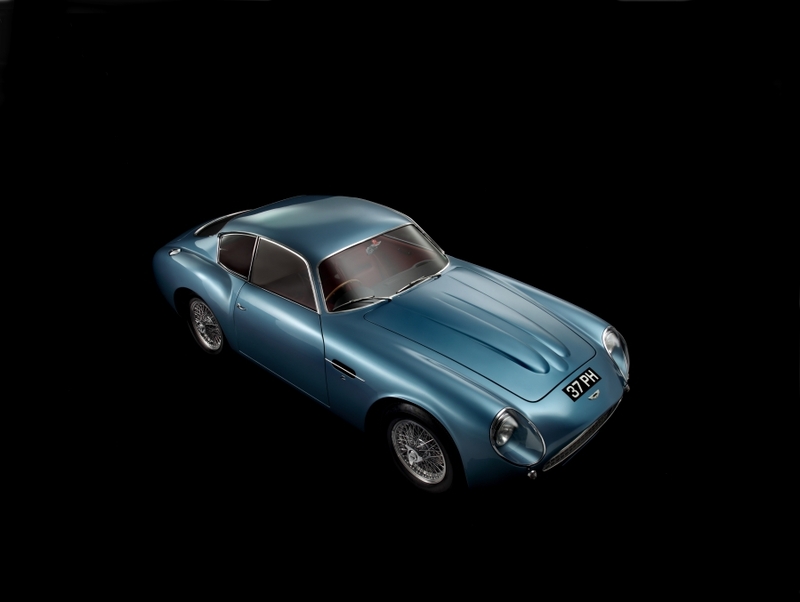 With a modern design, this grand tourer marked the beginning of Aston Martin’s collaboration with Italian coachbuilders. The new GT, presented at the 1958 London show, featured a sublime body designed by Frank Feeley and Gaetano Ponzani for the coachmaker Touring. 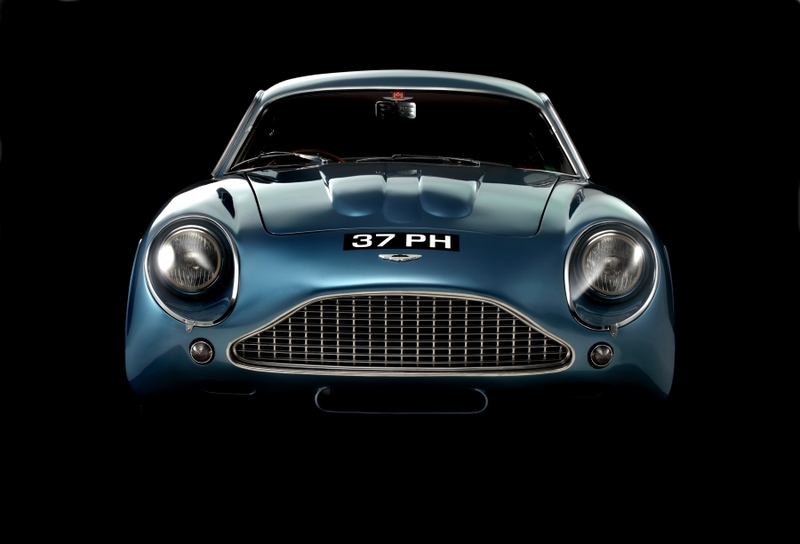 The DB4 was designed according to the superleggera principle that was dear to Touring’s heart. The aluminium panels rest upon a multitude of small tubes, a sort of cage constituting a rigid framework. For this car, Tadek Marek, poached from the Austin Motor Company, developed an unprecedented straight-6 engine with a twin overhead camshaft. This 3,670 cm3 oversquare engine was capable of 240 hp. 300 hp was even exceeded for the 75 DB4 GTs with a wheelbase shortened by 13 cm produced between 1959 and 1963, and the 19 units of the lighter series made by Milanese coachmaker Zagato between 1960 and 1963 to face off against the Ferrari 250 GT on the race tracks. The DB4 was ready for any challenge. To compete with Ferrari, Brown even launched a convertible version. 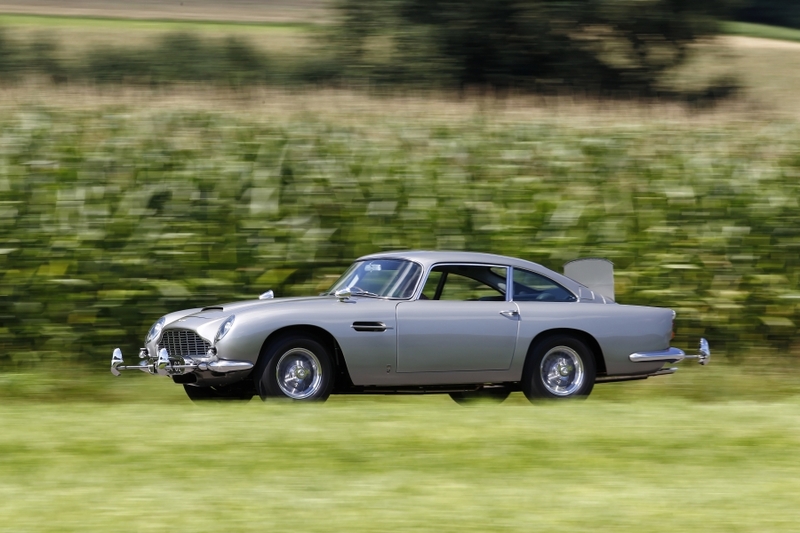 In 1963, Aston Martin turned two pages: the end of the sports car era and the replacement of the DB4 with the DB5. It still bore the Touring signature, but the new GT was more civilised, giving priority to comfort and silence. This did not prevent it from reaching 282 hp thanks to a switch to the 4-litre cylinder version. 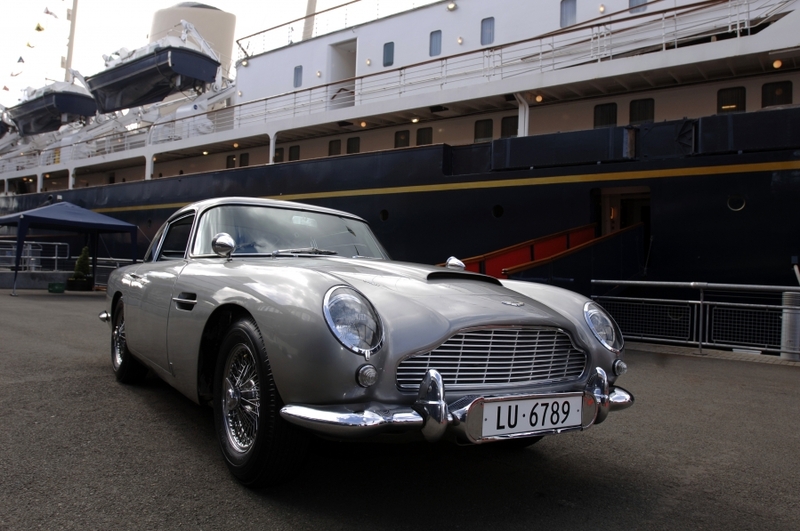 This was when Aston Martin linked its destiny with the most famous of MI6 agents. 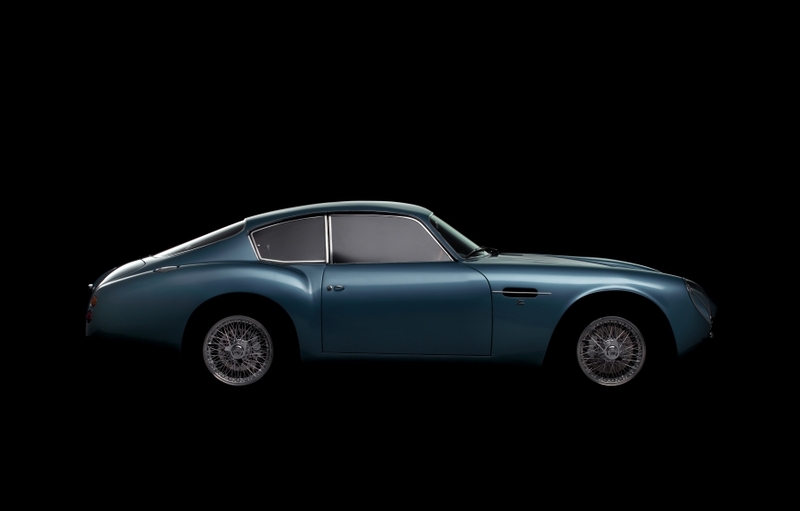 Guy Hamilton, the director of the James Bond films, chose the DB5 to accompany the adventures of Agent 007 in Goldfinger, the third instalment in the saga, which came out in 1964. The irrepressible “Q” equipped the sports coupé with an arsenal of weapons. In this race car, Bond made an impressive performance in the car chase with a convertible Ford Mustang, in Switzerland, and then in Thunderball, he manages to escape the killers of SPECTRE. This one-of-a-kind DB4 (2008 R body) made the trip to Rétromobile. 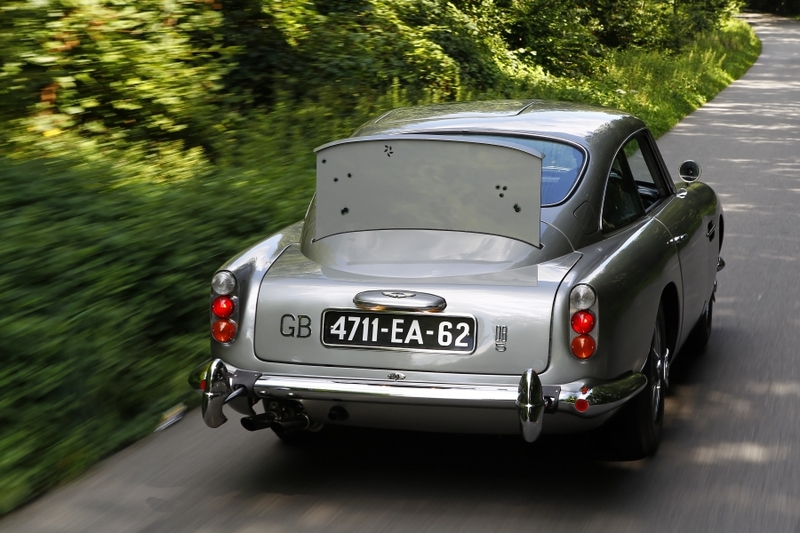 It is a unique chance for visitors to see the many gadgets the DB5 is equipped with: the ejector seat button, the roof that opens, the radar-monitoring screen, the weapon cache, the retractable bumper stoppers, the telescopic tire slashers, the hot oil hidden under the first of the three tail lights, the Browning machine guns, the rear bulletproof screen, the revolving number plates and the Bakelite telephone. In real life, Aston Martin was less present in the cinema than on the financial pages of the newspapers. Its health experienced some ups and downs. Brown, who had acquired the Vosper shipyard, lost interest in automobiles. And nothing, neither the groundbreaking nature of the DB5 line nor the patronage of the British royal family could save the firm. In early 1972, with a heavy heart, having been knighted by the Queen in 1968, Brownsold Aston Martin Lagonda for £100 to Company Developments Ltd. Since then, the manufacturer of the planet’s most exclusive sports cars, with only 60,000 made in 100 years, has seen several avatars. But in the new film Spectre, it is once again an Aston that accompanies 007. Finally, Retromobile will unveil the DP 208 prototype, which features a 2.5 litre 4-cylinder engine and was developed on the model of a Volvo P1800. It proves that the visionary Brown had been thinking about a less expensive Aston way back in 1961.